George is the co-founder of Plethora Businesses. With more than 30 years of experience in management, consulting, business valuations, mergers & acquisitions, George is a recognized leader as an M&A advisor and business valuation appraiser. He has been involved in more than 1,500 valuation engagements and successfully closed more than 250 mergers & acquisitions transactions. Mr. Lanza holds numerous leadership positions in key M&A organizations. In 2014, George was Chairman of the M&A Source Private Equity Expo and a Director of the International Business Brokers Association (IBBA). He was the 2013 Chairman of the IBBA and in 2009-2010, Chairman of the M&A Source. 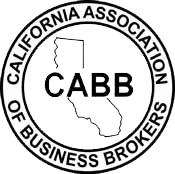 From 2008 to 2012, George was the Director of the California Association of Business Brokers (CABB). George is one of only 80 business intermediaries holding the prestigious Mergers & Acquisitions Master Intermediary certification. He is a Certified Business Intermediary and is also certified as a Business Certified Appraiser and a Machinery & Equipment Appraiser. He holds a FINRA Registered Representative stock broker with a 63 and 7 securities licenses. George is a sought leader in the business valuation and mergers & acquisitions fields, teaching mergers & acquisitions and business valuation-appraisal classes throughout the country. George is an IBBA University and M&A Source Association faculty member, he writes and teaches courses to M&A Bankers, Business Professional Advisors and Broker Professionals. He has authored numerous courses on valuation techniques and mergers & acquisitions. His classes provide educational credits to local and international members of M&A organizations. He also speaks at local colleges and universities in the business and entrepreneur departments and frequently addresses professional associations. George has also contributed to Harvard Business School in the Entrepreneurship through Acquisition program. His valuation track record is backed by extensive market knowledge and real world transactional experience encompassing more than 1,500 business valuations across a broad range of industries, entities and ownership interests, including a large number of logistics and transportation companies, aerospace & defense, manufacturing businesses, and food and distribution industries to name a few. George is an active member of the California Association of Business Brokers, the International Business Brokers Association (IBBA), the M&A Source, the Institute of Business Appraisers (IBA), the International Society of Business Appraisers (ISBA), and The National Equipment Business Brokers Institute (NEBBI). After graduating from the Naval Academy of Argentina in ship design, George moved to the U.S. and studied Manufacturing Engineering at the University of California Irvine. He also studied Hydraulics Design at the Paul-Munroe Hydraulics School of Fluid Power, International Managerial Relations at the University of Southern California, and received his Mortgage Banking Certification at California State University, Fullerton. George resides in Long Beach, California with his wife and partner, Dora. Together, they have raised four sons. Dora Lanza co-founded Plethora Businesses after completing the divestiture of her previous company, a mortgage banking organization that grew from a single branch to a multi-branch company, with locations in three states and over 175 employees. Since 1985, she has been working with business owners, as well as institutional and private investors. As the Operations Manager for Plethora Businesses, Ms. Lanza works with business owners and dealmakers in assessing the value of privately held companies, structuring and financing the complexities of the business transactions. Ms. Lanza has been awarded the highly coveted designations of Merger and Acquisition Master Intermediary (M&AMI) by The M&A Source, and Certified Business Intermediary (CBI) by the International Business Brokers Association (IBBA). These designations have become the recognized symbols of professionalism in the M&A industry. Individuals who have been awarded these designations have met stringent documentation of completed M&A transactions and extensive educational requirements. She has received her senior appraiser certification in business valuations; is a machinery & equipment appraisals and a certified credit underwriter. In addition, Dora holds series 7 and 63 securities licenses and is a licensed real estate broker in the state of California. As a nationally recognized lecturer and instructor; she leads educational seminars and workshops for M&A intermediaries on a regional and national basis. 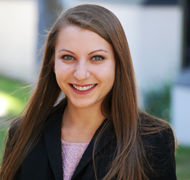 Ms. Lanza is an IBBA University and M&A Source Association faculty member, she writes and teaches courses to M&A Bankers, Business Professional Advisors and Broker Professionals. She is a popular speaker to professional groups on M&A subjects dealing with business sales, growth through acquisition, and negotiating the M&A process. Ms. Lanza is member of the M&A Source organization (www.masource.org), the leading national association whose membership is made up exclusively of M&A intermediaries who specialize in lower middle market M&A transaction and serves as the Conference Planning Committee Chair. Ms Lanza is an active member of the International Business Brokers Association, the California Association of Business Brokers, serving on the Forms Committee; the Society of Business Analysts, the National Business Brokers Institute and the National Association of Women Business Owners (NAWBO) where she serves as the Chair of the Participating Organizations for its renown annual Remarkable Women’s Award Event. Robert is a Director and Manager at Plethora Businesses and advises clients in the acquisition and sale of lower middle market companies. At Plethora, he is directly responsible for the completion of more than 60 transactions including traditional sales, recapitalizations and mergers. His involvement in these mandates includes deal origination, negotiation, due-diligence and coordination of credit facilities. Robert joined the Plethora team in 2002 as a financial analyst and transactional coordinator, and was responsible for profiling companies, valuations and preparing confidential marketing memorandums. His industry knowledge spans myriad sectors with specific focus in light manufacturing, value-added service, distribution, logistics, and food companies. His academic background is in finance and international business and holds an M.B.A. and B.A. from the College of Business and Economics at CSUF. 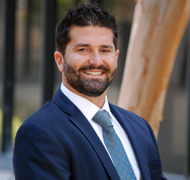 Robert holds the Series 79 Investment Banking Representative and Series 63 Uniform Securities Agent license and is also a licensed Broker through the California Bureau of Real Estate. Nick is an M&A professional with 8 years of transaction experience. He works with business owners to align their exit goals and growth objectives with strategic opportunities in connection with business sales, mergers, acquisitions, and equity capital. His experience includes advisory engagements for small to medium sized businesses ($10m-$200m in revenues) in logistics/transportation, manufacturing, engineering & construction, and healthcare. Nick has completed over 100 company valuations and has played a critical role in closing numerous acquisitions totaling $185M in enterprise value. While at Plethora, Nick set the record for the fastest closing of a transaction having gone from signing a Letter of Intent to funding in just 30 days. The company was a medical grade plastic/foam component manufacturer for the healthcare industry and was sold to UFP Technologies (NASDAQ:UFPT). He is a proactive member of the M&A Source and a sought after speaker for industry panels and educational workshops. His work ethic is driven by a commitment to excellence, responsiveness, and endurance. Previously, Nick was an Associate at CFA, an international middle market investment bank. Nick graduated on the dean’s list from California Polytechnic University with a Bachelor of Science in Finance. He holds the FINRA Series 7, 66, & 79 securities licenses and is also a licensed agent through the CA Department of Real Estate. On his spare time, Nick likes to enjoy a glass of cabernet, play guitar, and take his dog to the beach. As Corporate Director, Michael Jeub’s main responsibilities include collaborating with Plethora’s network of buyers and strategically sourcing and qualifying prospective sellers in coordination with Plethora’s marketing team. Prior to joining Plethora Michael worked at Caris and Company, a boutique stock research firm, as a Junior Analyst and Business Development Officer. At Caris he worked in a support function on the analysis of covered stocks such as Disney and Netflix and also worked as a liaison between the firm and their institutional investor clientele. Michael received his BS from the University of California, San Diego. He holds his Series 63 and 7 securities licenses, as well as his Real Estate Salesperson License. In his free time Michael enjoys racquetball, frisbee golf, fishing, hunting, and the occasional skydive. Ms. King has been involved in all aspects of the real estate and financial business for the last 40 years. After her graduation from the University of Southern California with a Bachelors and Masters of Business Administration with emphasis in Real Estate Finance, Ms. King worked at Coldwell Banker Commercial in Los Angeles where she managed a $100M+ portfolio of industrial, retail and office properties which included reporting to major insurance companies and asset managers. Ms. King then gained securities experience as a Vice President of Private Investments for E.F. Hutton where she assisted in the syndication of real estate, timber, films, oil and gas, cable, vineyard and biotech investments throughout the US with multinational investors. Since 1986, Ms. King as Vice President of RK Properties has been actively involved in sales and acquisitions, broker/dealer sales, loan negotiations, 401K, insurance and property management at RK Properties, a multifamily investment firm with investments throughout the US. Ms. King currently holds a Direct Participation Representative and Principals Security License –Series 22 and 39. In addition, Ms. King is a real estate broker in the states of California, Nevada, Arizona and Florida. Ms. King is involved in many non-profit groups benefiting children and the Arts and the business schools of CSULB and USC. She enjoys tennis, golf, skiing, scuba diving, fishing and motorcycle riding. Stephen’s main responsibilities include the strategic and financial analysis on sell-side engagements and sourcing of strategic and financial buyers on sell-side opportunities. He conducts the analysis of financial statements, develops financial models, and examines, in-depth, a company’s operations, trends, revenue and cost drivers in addition to its competitive and strategic position in the market. He also conducts comprehensive economic and market research to support business valuation and industry expertise. Stephen has over 10 years of experience in the financial services industry. He earned his BS in Business Management from California State University, Long Beach. He holds his Series 7 and 66 securities licenses. Stephen is a combat veteran of the United States Army and served overseas in Operation Enduring Freedom and Operation Iraqi Freedom. In his free time, Stephen enjoys spending time with his family, traveling, and listening to audiobooks. As an Associate, Rob Connolly is responsible for helping guide clients through sell-side engagements and correspondingly sourcing strategic and financial investors to accomplish client objectives. He is in entrusted with the analysis of financial statements, developing financial models, and in-depth examination of company operations, trends, revenue and cost drivers in addition to its competitive and strategic position. He is also tasked with conducting comprehensive economic and market research to support business valuation and industry expertise. Rob received his BA from the College of Business and Economics at California State University, Fullerton, with a concentration in Finance. He holds his series 63 and 79 securities licenses, as well as his Real Estate Salesperson License. In his free time, Rob enjoys basketball, snowboarding, and a good beer. Mark leads Plethora’s Illinois division with a robust understanding of the Midwest’s business landscape. He is dedicated to providing specialized service to Plethora’s sell-side clients in the region. Prior to joining Plethora, Mark was President of a small independent insurance agency in Illinois for seven years. He built his business representing a variety of property and casualty clients in commercial insurance . In order to grow his business, he surrounded himself with highly influential people including wealth advisors, accountants, private equity groups and other business owners. Mark earned his BS in Business Finance from the University of Dayton and currently holds his property/casualty and life/health insurance licenses as well as the FINRA series 63 and 79 securities licenses. In his free time, he enjoys spending time with his wife and two children, Holly and Hank. He believes in paying it forward and volunteers regularly at Misericordia Heart of Mercy, a home to many mentally and physically disabled persons including his own brother. Lucas adds a diversified mix of skills to the Plethora Team, which he joined in early 2015. He serves in the transactions department as an analyst, working on every phase of deals from valuation to closing. Additionally, he oversees a variety of operational, technological, and creative functions and projects. In addition to an analytical skill set, Lucas has over a decade of web development experience and is well versed in coding languages like HTML and CSS and in platforms like WordPress, Photoshop, and Google Analytics. 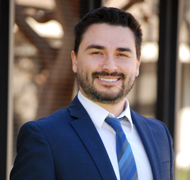 Lucas holds a Bachelor’s degree in Political Science from California State University, Long Beach, with a concentration in American Government. During his free time, Lucas enjoys skateboarding, discussing politics, and watching movies and sports. 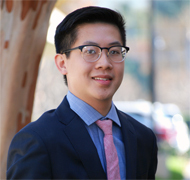 As an Analyst, Kevin is tasked with servicing clients through sell-side engagements by aligning exit strategies with a network of potential investors. He is responsible for analyzing company financial statements, generating valuation models, and evaluating company trends in relation to revenues, expenses, and strategic positioning. He conducts in-depth industry research to provide support in the valuation presentations, negotiations, and to expand on his knowledge of individual financial sectors. Kevin earned his B.S. in Business Administration with an emphasis in Finance from Chapman University, and minored in Law, Justice, and Social Control. In addition, Kevin has goals to eventually return and work towards his MBA. In his free time, Kevin fills his time through drumming, going to music festivals, and catching the latest blockbuster at the cinema. Diego is one of the latest additions to the Plethora team. His Underwriting experience both in Surety and Insurance adds value to the analytical components of the transaction process. He also worked for a non-profit organization as a financial counselor assisting Americans that were losing their homes due to foreclosure. Diego’s main responsibilities include financial analysis and assisting Plethora’s buy-side clients connecting with potential targets that fit a certain criteria. Diego’s advanced excel skills and robust knowledge in finance are strong components on financial models and company valuations. Diego received his B.A. in Business Administration & Finance from California State University, Fullerton. Currently he is pursuing a Masters in Finance with a concentration in Investments at Southern New Hampshire University. During his free time, Diego enjoys eating out with his family, walking his dog, traveling the world and playing piano. Joining Plethora in 2019, Mikhil is primarily responsible for streamlining Plethora’s information flow for optimal use by all departments. With a little over three years of experience in data analysis and working with Microsoft’s Business Intelligence stack, including SQL Server Reporting and Integration services, Power BI and a myriad of other tools, Mikhil gives Plethora an added technological edge. Did we mention he is also a self-taught Python and Excel aficionado? 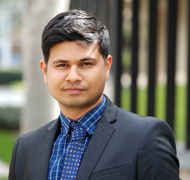 Mikhil earned his M.S from California State University, Fullerton, with a focus in Information Systems and Decision Sciences. He loves solving problems and enjoys challenges thrown at him everyday. In his free time, Mikhil enjoys different foods, music, gaming, photography, traveling, and travelling to exotic locations around the world. Steve brings to Plethora a seasoned history of business experience and a proven track record of getting owners on the right track when planning their exit strategy. His background in marketing spans more than 20 years and includes over a decade of work within the financial industry. Steve’s ability to identify suitable clients and set them on a path towards getting the maximum dollar amount for their business makes him an essential part of the M&A process. Although he can identify with every industry, his areas of expertise are in the Food and Beverage, Transportation and Metal industries. Prior to his professional career, Steve proudly served in the U.S. Navy. In his free time, Steve enjoys camping, fishing and watching sports and old war movies. Garrett started with Plethora in 2016, bringing with him a strong business aptitude and a natural sense of the lower middle market. His expertise in communicating with sellers and buyers brings an extraordinary amount of utility to the Plethora team. With the ability to pinpoint great companies that align with buyer criteria, Garrett has put a multitude of business owners on a track towards a successful closing. Garrett resides in Orange County and in his time off, enjoys boxing, fishing and playing the drums. As the latest addition to Plethora’s marketing team, Luis brings to the table a fortitude of client relationship building experience. His primary responsibility is seeking out businesses that closely match buyer criteria and guiding sellers through the initial steps of exploring the sale of their company. Luis holds a B.A. from San Francisco State University. He is currently working on a degree in accounting at Santiago Canyon College. His prior experience includes work in business-to-business services and in the solar panel industry. Luis’s hobbies include playing soccer, cooking, watching movies, reading, and the guitar. As the HR & Compliance Coordinator, Dana is responsible for the development and implementation of Plethora policies and procedures. She works with Division Heads to ensure compliance with these policies and procedures. As the Executive Assistant to the CEO and COO, she assists with correspondence, e-mails, strategic planning, corporate events, travel arrangements and organizational duties. Dana received her B.S. from Chapman University, majoring in Business Administration with an emphasis in Management and minoring in Psychology. She is currently working towards her Human Resources Management Certification. In her free time, Dana enjoys going to the beach, traveling to new places, attending concerts, hosting game nights and volunteering with animals. Leroy began his career in 1948 at the age of 16 working with a small grocery chain in Southern California and leaving as part of the management team five years later. For two years he owned 50% of two small neighborhood grocery stores while also attending California State University L.A. In his third year of studies, Leroy was drafted and received an Honorable Discharge from the U.S. Navy in 1957. In 1958, Leroy was the first employee of Trader Joe’s Markets/Pronto Markets, reporting directly to Joe Coulombe the founder for over thirty years. in 1979 the company was sold to a German Family in Essen, Germany, at that time Leroy was the largest stockholder in the minority stockholders group. Throughout his forty-three tenure with Trader Joes’, Leroy opened and managed the first four stores, managed personnel, security, construction, distribution and real estate, maintenance and equipment. He also managed the buying department; created many new product lines from many countries; purchased and sold Cheese Licenses, purchased and applied for liquor licenses; and oversaw the warehouses, which included the closing and moving of several. During the last six years with Trader Joe’s, Leroy was in charge of finding over fifty store locations including negotiating the leases and supervising the remodeling or the construction of new buildings. His last major project was relocating the corporate office building including supervising its construction from the ground up. Leroy retired as Senior VP of Operations in 2001, a key player in the 179 store chain with gross sales of $1.77 billion annually. Over the past 13 years Leroy owned and operated an importing company of beer, wine and distilled spirits. Licensed in 30 states, the company imports products from England, Scotland, France, Spain, Argentina, Chile and New Zealand. Leroy’s recreational interests include traveling, boating and winter activities with family and friends near his home at Lake Tahoe, NV. George D. Abraham has been involved in the transfer of over 450 businesses and has appraised complete business as well as machinery and equipment for the past 38 years. Two of the appraisals Mr. Abraham was involved in passed the scrutiny of the World Bank. He has performed close to 2,000 appraisals for banks and SBA financing purposes. He has done several appraisals valued over $700 million. He has owned and operated several types of businesses throughout his career. His company was the first in the nation to develop and gain national attention for its unique and highly accurate business evaluation software programs that have been marketed to business brokers and appraisers all over the country. At present, the programs are being developed and marketed, under the supervision of Mr. Abraham, by John Wiley and Sons Publishing Company for worldwide distribution. He has consulted with the nation’s top intermediaries, accountants, attorneys and appraisal companies, and his programs are being used in nearly 2,000 offices nationwide, as well as in Canada and England. Attorneys, accountants, and other clients retain him regularly for appraisals and consulting, as well as for court testimony as an expert witness, on the local, national and international level. He has previously served two consecutive terms as a board member and panel chairman for the Galveston Central Appraisal Review Board. He is one of the founding charter members and a Past State President of the Texas Association of Business Brokers and served two consecutive terms as Vice President of Education. In July of 1997, Mr. Abraham was awarded a Life Membership from the Board of Directors for his contributions to the association. He has served on the National Board of Directors for the Institute of Certified Business Counselors for the past eight years as Vice President of Education and has served two consecutive terms and the National President (1998 to 2000). He is one of the first to qualify and receive the Board Certified Broker designation from the Texas Association of Business Brokers and one of the first to qualify for the Board Certified Intermediary designation by the International Business Brokers Association (IBBA). In the fall of 1994, Mr. Abraham was named a Fellow of the IBBA by its Board of Directors for his significant contribution to the association and business intermediary industry. He has conducted over 92 seminars on business valuation around the nation and in Canada and is a regular speaker at most of the national conventions for this industry. His articles on valuation, business transfers, business consulting and enhancements, and environmental concerns appear on a regular bases in most of the association newsletters in his industry. Because of his active participation as a consultant to business intermediaries around the country, he has developed an extensive database of financial and operating information. His related activities enable him to remain current in industry trends, comparable sales information, comparative operation ratios and other factors necessary to effectively appraise and enhance going concerns. In addition to valuation of complete businesses, Mr. Abraham also specializes in the valuation of machinery and equipment, business consulting and business enhancement programs and implementation. He is contracted on a regular basis to perform these assignments for other major valuation firms. Mr. Abraham has extensive national and international consulting experience. The work he has performed has labeled Mr. Abraham as a turnaround specialist in privatization and he was listed as one of the top appraisers in 1993 in the Turnarounds & Workouts news publication. The types of oilfield appraisals and enhancement consulting that Mr. Abraham has been involved in include drilling rigs, well service rigs, refineries, pipelines, rental company inventory, oil and gas production equipment and offshore oil transportation equipment. In addition to equipment used in exploration or production, he has had experience appraising machinery and equipment used to manufacture oilfield equipment. Mr. Abraham has performed appraisals in the United States, Canada, Mexico, Argentina and the Bahamas. Two of his international appraisal and enhancement consulting assignments were for government owned oil companies to obtain financing through the World Bank for the country’s privatization efforts. John R. Harris holds a certified general appraisal license in several states and has over 30 years of appraisal experience. He holds a Master of Business Administration degree and has owned several successful businesses. He has operated both nationally and internationally in appraisal and brokerage and has been a member of the World Trade Center having performed appraisal and consulting services for the Mexican and Venezuelan governments in Central and South America. 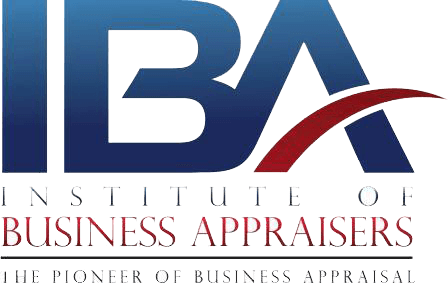 Currently, Mr. Harris teaches appraisal technique in Business, Real Estate, and Machinery/Equipment for several national organizations. 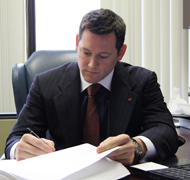 He serves nationally as an arbitrator in business disputes for the American Arbitration Association, New York City. He is a member and contributing guest speaker to the International Business Brokers Association (IBBA), the California Association of Business Brokers (CABB), the Institute of Certified Business Counselors (ICBC). As a member of ICBC, he is one of only a few individuals to hold the MCBC designation indicating Master Certified Business Counselor. 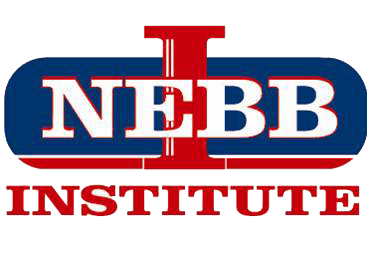 John Harris is the Director of the NEBB Institute. As the Director, he has trained over 400 appraisers in 45 states, Canada, Puerto Rico, Australia, Ireland, Saudi Arabia and Singapore. He has been awarded the professional designation of CM&AA by the Alliance of Mergers & Acquisition Advisors, which means he is certified in Mergers and Acquisitions. This organization involves CPAs and other financial professionals specializing in business transfers. •Tested and certified Senior Member of the American Society of Appraisers in the field of Machinery and Technical Specialties, and is authorized to use the professional designation ASA, indicating Accredited Senior Appraiser. •Holds additional ASA designation in the field of Real Estate Appraisal. •Licensed real estate broker in Kansas and Oklahoma. •Holds the BAE Professional designation indicating Business Appraisal Expert, as endorsed by Northern Michigan University. •Has been approved as an instructor for the Kansas Real Estate Commission to teach continuing education courses on the subject of Business Sales and Evaluation. •Frequent guest speaker to CPAs, attorneys and other business groups. •Regular contributing author to various industry trade journals and newsletters in the brokerage and appraisal industries. •Graduate of Loyola University School of Business Administration Executive Education Programs for Certified Merger & Acquisition Advisors. •Personally sold in a brokerage capacity over 400 businesses. •Provides expert court testimony at the District and Federal Court levels when called upon to do so. As a seasoned business appraiser, Hans Schroeder is the developer of the proprietary system of software and integrated market data used in every Plethora valuation. Hans has been a business valuation analyst for over 30 years. Prior to working with Plethora, he was involved in systems and software development for many years, and founded several software companies in Boston, Washington, DC, and California. He authored a software system for commercial credit analysis that was used in over 10,000 banking locations and in over half of the 100 largest banks in the world. Hans has written articles published in valuation journals, and has spoken to many professional groups. Our knowledgeable staff of transaction veterans offers over 300 years of combined experience in related fields of business ownership, business sales and consultative advisory services. In the last 15 years, we have become a top choice as trusted consultants to business owners and have earned a reputation for providing confidential and reliable professional services to our clients.